of Pearson Carpet Care. 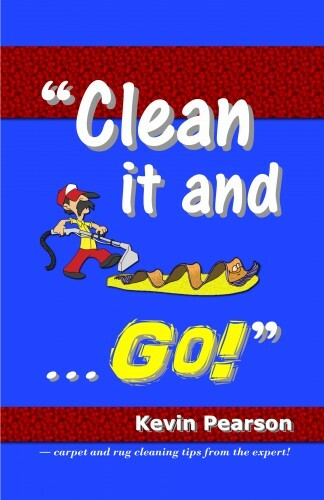 This book offers some great insight into keeping your carpet looking and smelling clean. "Kevin is a respected colleague in the carpet industry and his book offers useful advice on how to extend the life of your carpet and rugs and keep them looking beautiful for years." "I think this is great information you have compiled for your customers. It is refreshing to see the effort put into this. We are very fortunate to have such a great floor covering expert in the Houston, Texas area. I wish you continued success with your business." "Kevin Pearson is the ultimate professional. Having been in this industry since 1984, I know what makes a great company. Kevin and his staff are well trained, well equipped and conscientious. 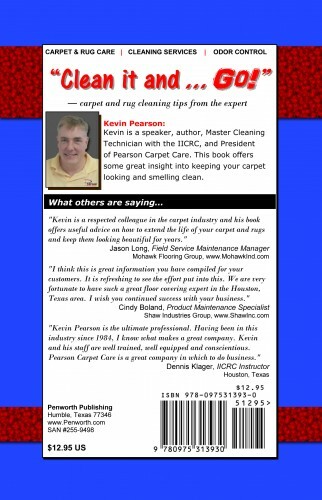 Pearson Carpet Care is a great company in which to do business."